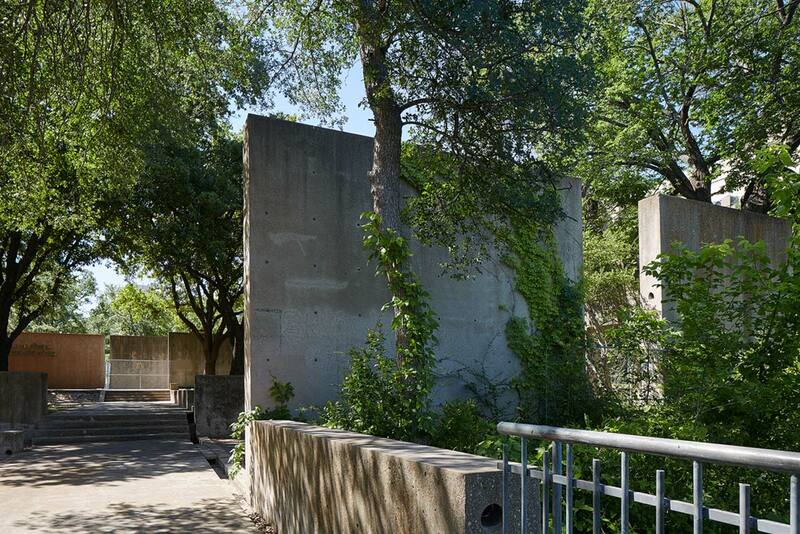 Located on a bluff overlooking the Trinity River, this 1/2-acre plaza was built as part of the 1976 U.S. Bicentennial celebration, to commemorate the city's founding as the Camp Worth military post in 1849. 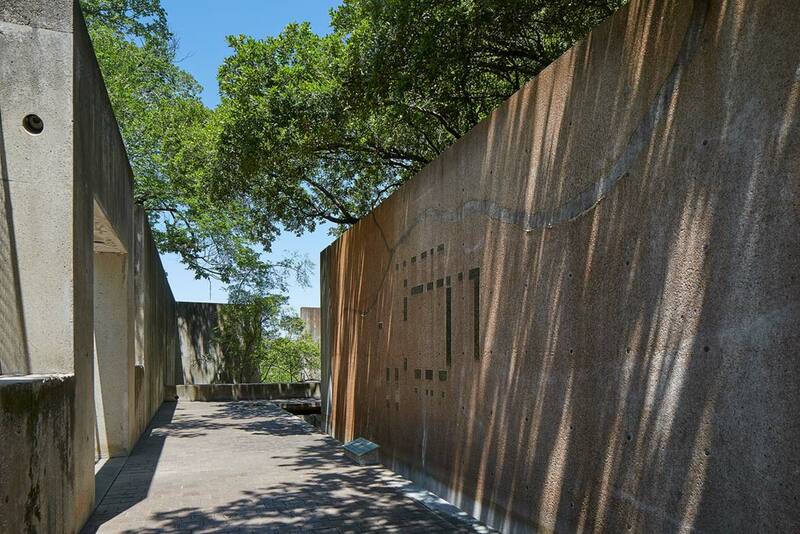 Using a technique he would later refine at the Franklin Delano Roosevelt Memorial in Washington, D.C., Halprin created an intimate-feeling space by designing a processional sequence of interconnected, outdoor “rooms” that reveals the narrative of the city’s founding. 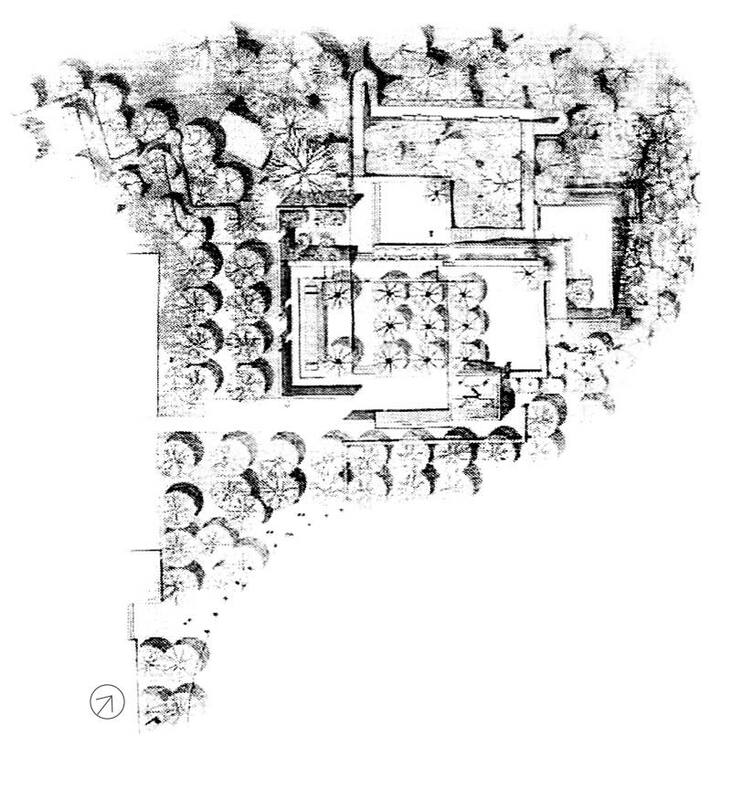 Inspiration for the plaza’s configuration is exhibited just inside the entrance, where a simple plan of the original fort complex is inlaid on a concrete wall and veiled by a waterfall. 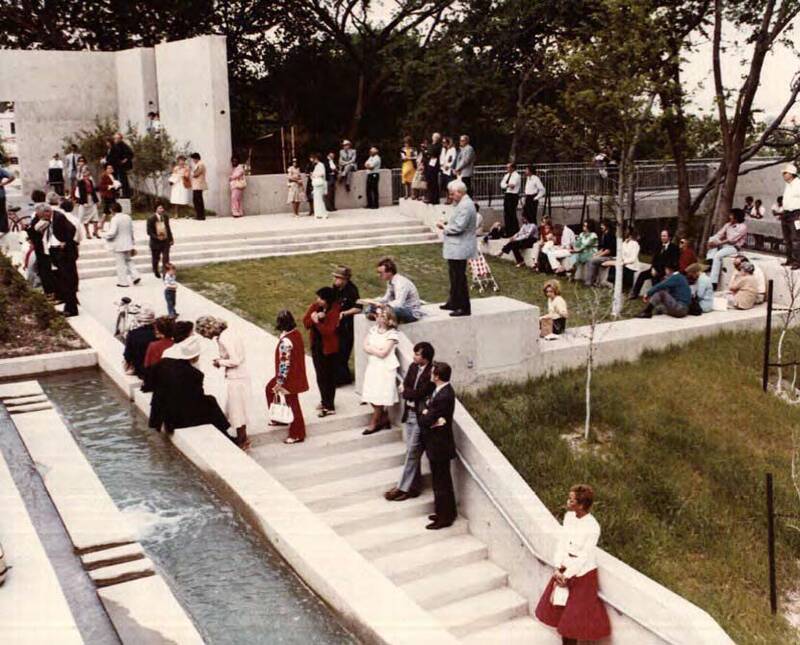 The design team intended to choreograph the visitors' experience, enhancing their journey through the plaza with elaborate water gardens, controlled views, and sculptural elements. 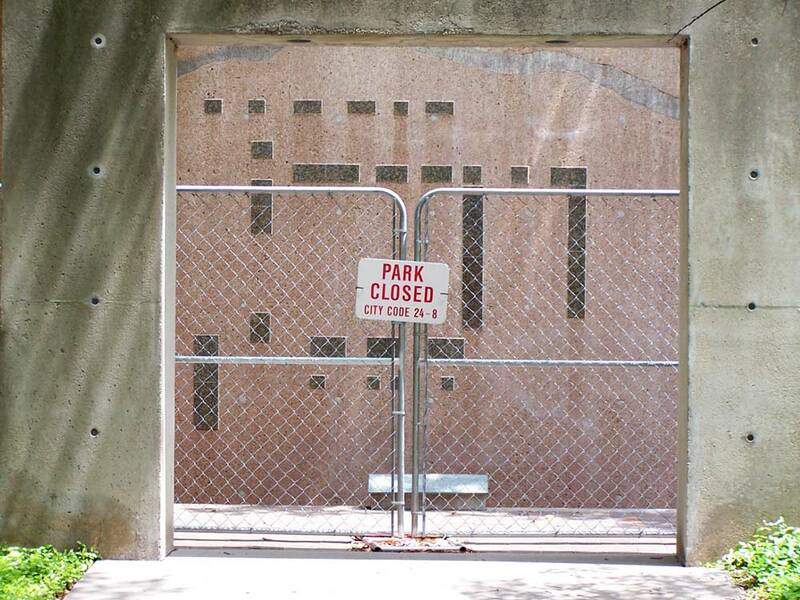 Heritage Park Plaza has been inoperable and closed to the public since 2007, but its condition is improving. An initiative to repair and reopen the plaza resulted in the landscape’s listing in the National Register of Historic Places in 2010 under the category of landscape architecture. Five years of discussion about how to approach the landmark followed the designation process. 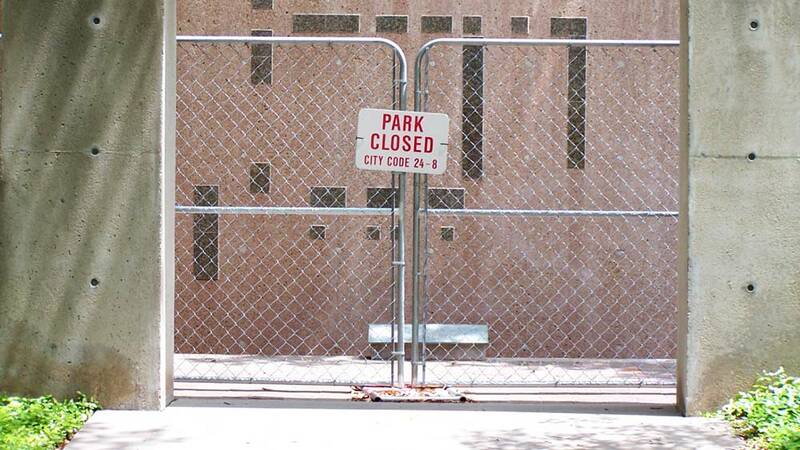 In 2015, Downtown Fort Worth Initiatives Inc., with the City of Fort Worth, initiated a formal rehabilitation process. Consultants studioOutside Landscape Architects with Bennett Benner Partners, were commissioned to complete a landscape study with final plans to be completed in December 2016. 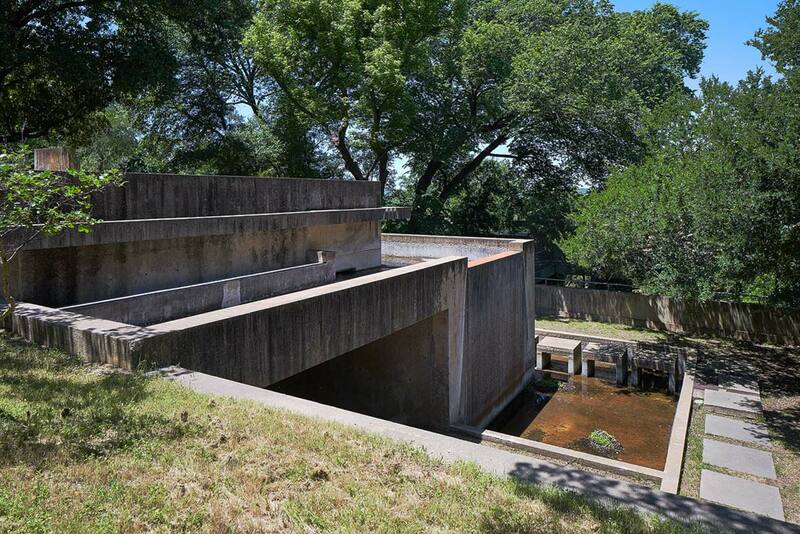 Approximately three million dollars of public and private investment are scheduled to assist in rehabilitating the landmark, including the degraded water features. 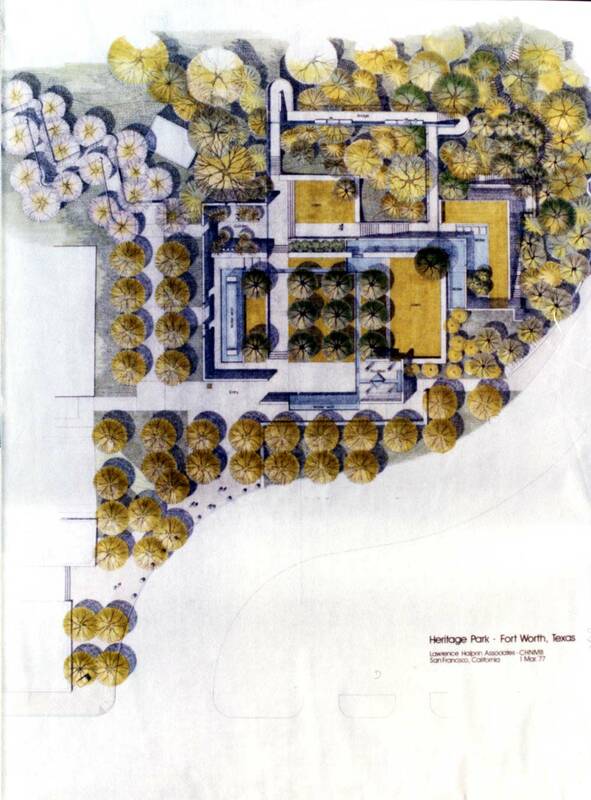 In addition to rehabilitation of the individual landscape, an extensive master plan has been proposed that would realign Main Street to provide additional open space in front of Heritage Park Plaza. 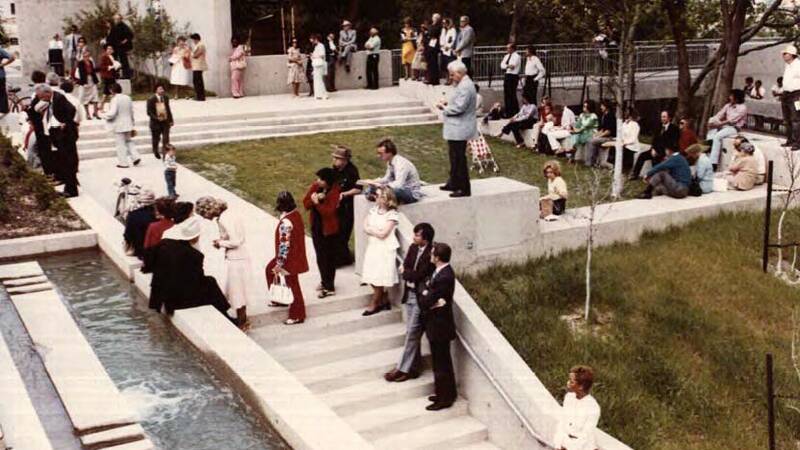 Other proposed elements in the master plan would take a cue from Halprin’s original design intent to better connect the Plaza to the Trinity River by incorporating a stairway behind to the plaza that leads directly to the river’s edge and would facilitate a waterfront recreational space. Persons who are interested in contributing to the rehabilitative effort can contact Downtown Fort Worth Initiatives, Inc. Regular updates on the project are published on the City of Fort Worth website. W. Bluff St. & Main St.
Baldinger is an architectural photographer based in San Antonio, Texas. 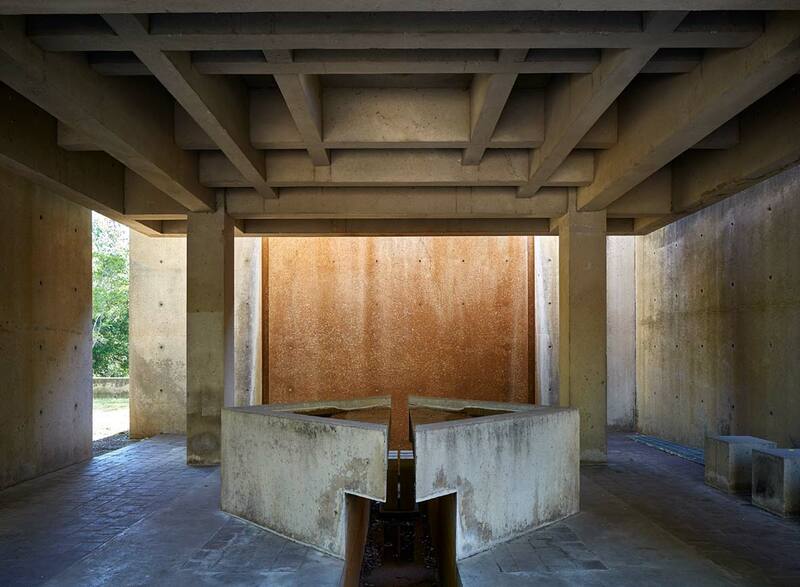 His practice encompasses a panorama of projects, from commercial interiors to jewel houses. 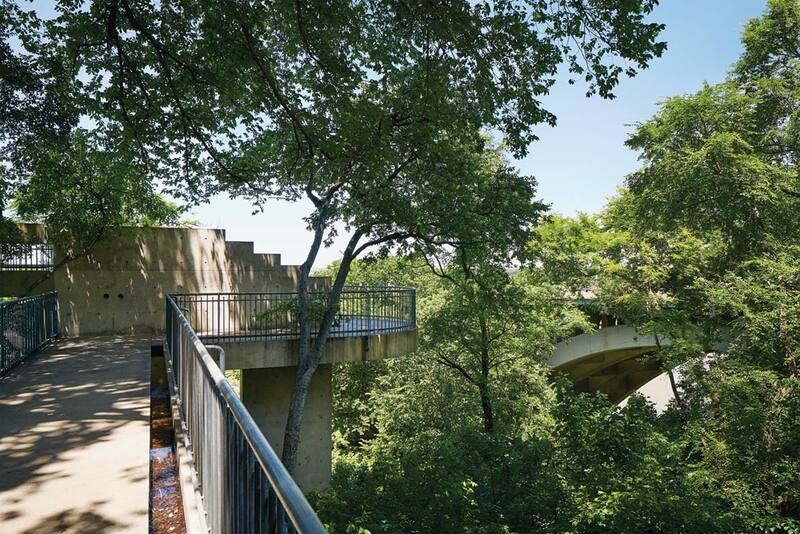 Formerly a design principal in a major San Antonio architectural firm, Baldinger’s photographic viewpoint considers and enhances the uniqueness and terroir of each project. 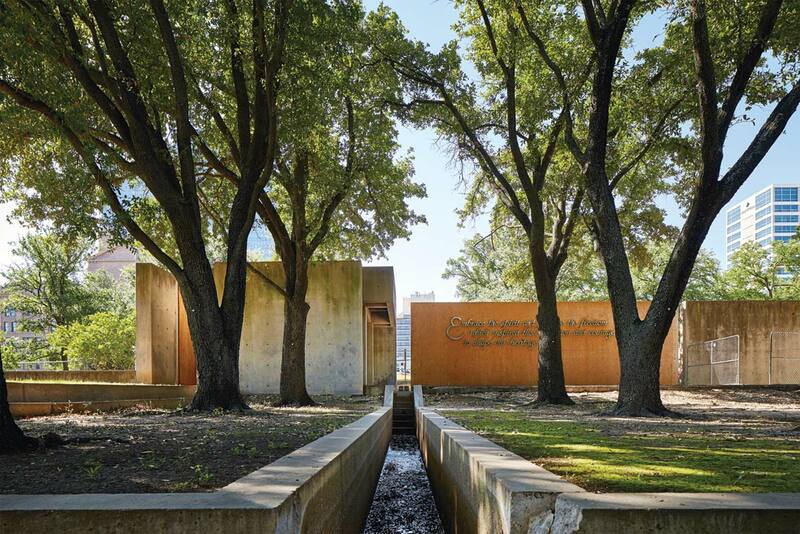 His photos have won numerous AIA San Antonio Design Awards.